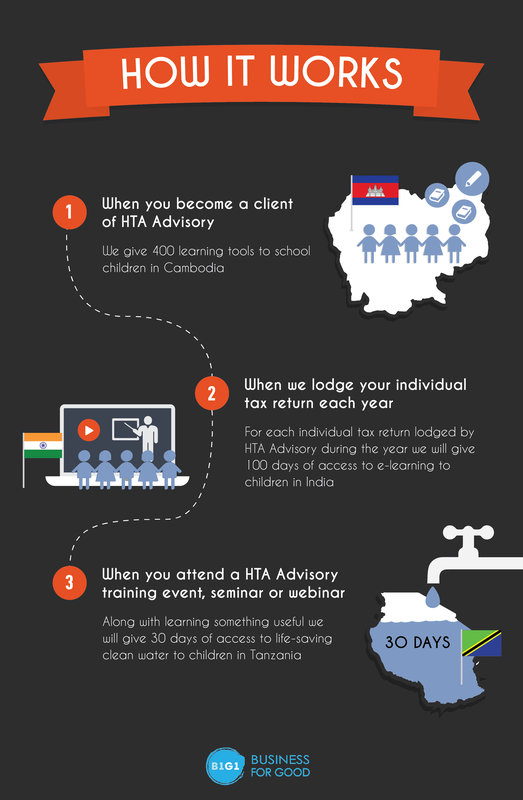 At HTA Advisory we work with amazing clients and a great team. We believe in making a real impact not only on the lives of our clients and our team members but also our community both within Australia and throughout the world. We do this through our lifetime partnership with B1G1: Business for Good. B1G1 is a Global Giving Initiative that allows businesses like us (and some of our own clients) to make a real difference in an extraordinary way.